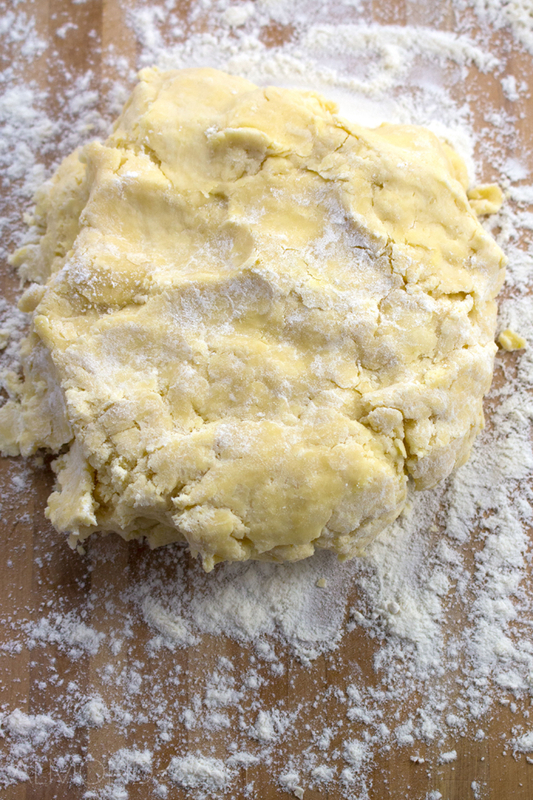 So short with a perfect crumb, you are going to love making your own pastry with this simple and easy to make basic shortcrust pastry recipe. 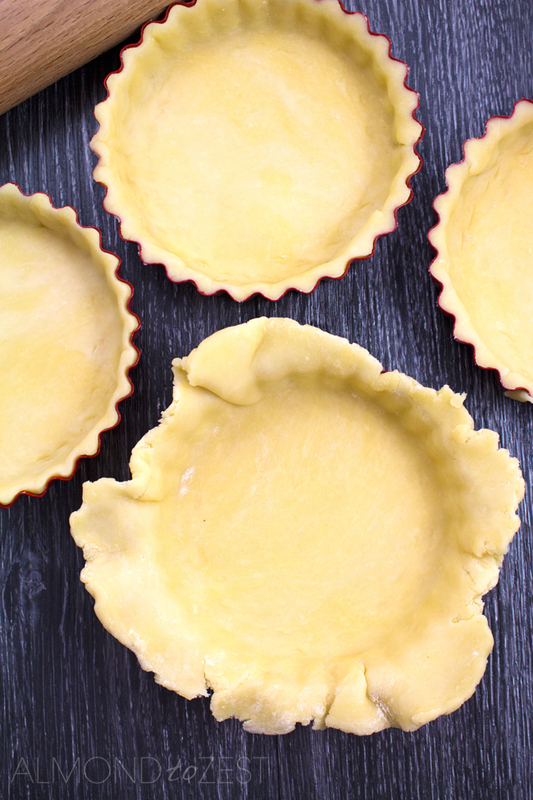 Making your own shortcrust pastry at home could not be easier. All you need is a handful of ingredients and less than 10 minute prep time and in no time at all you will be producing something delicious with this super short pastry recipe. And if you’re stuck for ideas why not try my Caramelized Leek, Brie and Ham Quiche Recipe it is absolutely scrumptious. Place diced butter, flour and salt into food processor and process for around 30 seconds until the mixture resembles breadcrumbs. Transfer mixture into a mixing bowl, make a well and pour in water. Then using your hand like a whisk, twist and mop up all the flour mixture and press the dough together. 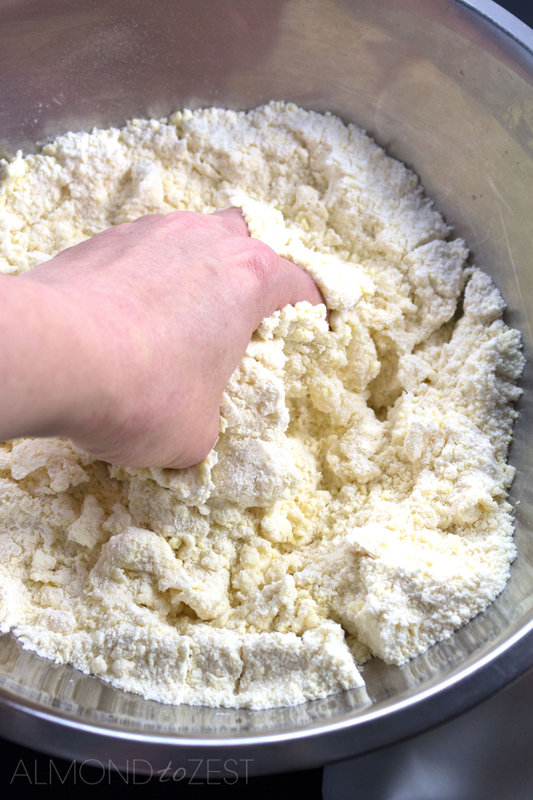 Transfer the dough on to a lightly floured surface and knead. Wrap dough ball with plastic wrap and refrigerate for at least 30 minutes before rolling out. If you are working in a warm place put a mixing bowl in the refrigerator about 30 minutes prior to making this dough. This is to ensure the butter doesn’t melt whilst you are mixing it. 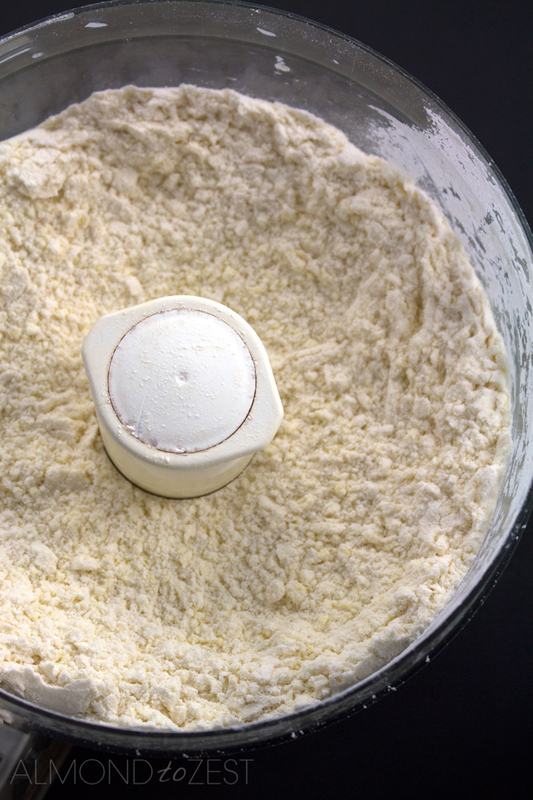 Dice the butter and place it in the bowl of a food processor along with the flour and salt. 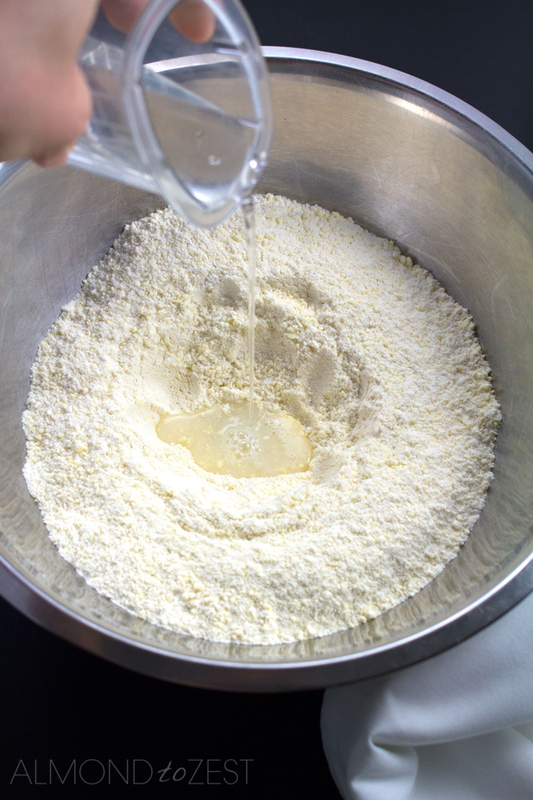 Process for around 30 seconds until the mixture resembles breadcrumbs. Transfer the mixture into a mixing bowl. Make a well in the centre and pour in your water. 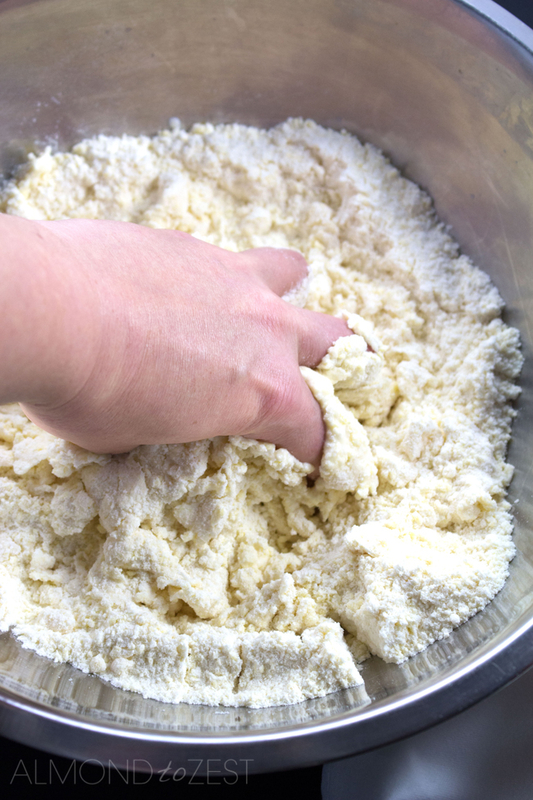 Using your hand like a whisk, twist and mop up all of the flour mixture and press the dough together. 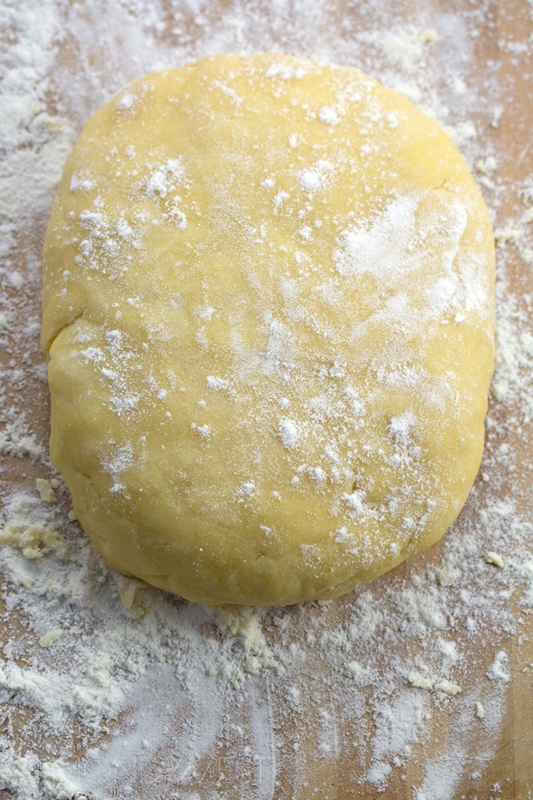 Transfer the dough to a lightly floured surface and gently kneed the dough together. Cover with plastic wrap and refrigerate for at least 30 minutes before rolling out. © Copyright 2019 AlmondToZest.com. All Rights Reserved.